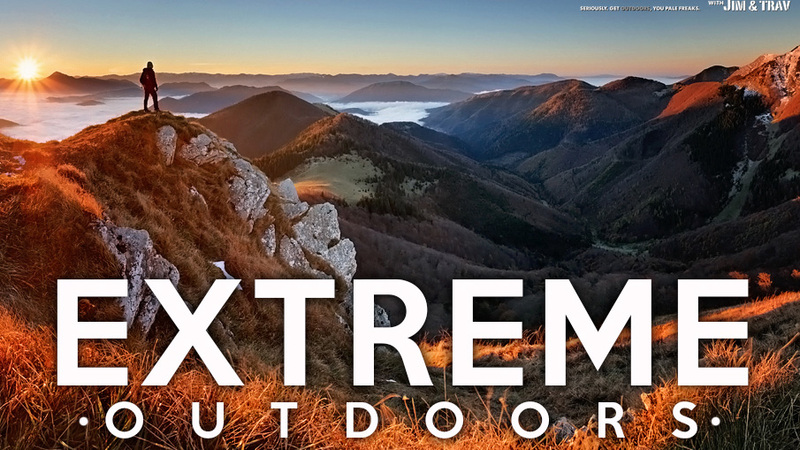 It’s extreme outdoors this week on The Revolution with Jim and Trav, so tune in for a wide range of amazing outdoor action. We'll explore the South Pacific with the Keefer brothers as they discuss the season premiere of Dropped: Expedition South Pacific, and their New Zealand hunting quests. Then we'll get a sneak peek into the 35th Anniversary Issue of North American Whitetail magazine, with editor Gordon Whittington. He'll highlight the triumphs and pitfalls of America's favorite game animal and where North American Whitetail magazine is headed in the next 35 years. Furthermore, Jill Gechter from CINCH Jeans will clue us in on an amazing $500 giveaway they currently have going on, plus their all-new concealed carry jackets and vest, and other fantastic apparel that'll take your fall hunting adventures to the next level. Finally, we'll get an inside look at the work of a wildlife veterinarian and the challenges they face in the pursuit of conservation, with Dr. Ole Alcrumbrac from Wild Ops Presented by John Deere. The Revolution and its extreme outdoors topic is presented by Outdoor Channel, Sportsman Channel, World Fishing Network and MyOutdoorTV. Every outdoorsman likes to think that, if stranded or left in a survival situation, they could harness their outdoor know how and live off the land. Most people will never experience this type of scenario; however, Chris and Casey Keefer embrace it season after season, just to do it all over again as the hosts of Dropped on Outdoor Channel. Debuting September 25th will be Dropped: Expedition South Pacific. This new season will follow Chris and Casey as they are dropped in the backcountry of New Zealand with little more than the clothes they are wearing. Their mission is to find the few caches of modern equipment that will help them get back to civilization by working together and living off the land. The Keefer brothers join Jim and Trav this week to talk about the challenges of hunting and surviving in New Zealand, as well as its similarities to the United States, and the learning curve they had to overcome when hunting. They’ll also talk bear hunting, the mental aspect of any survival situation and their most challenging moment in the last season of Dropped. In a brand-new show airing on Outdoor Channel beginning September 25th, viewers will get an inside look at what it takes to manage wildlife populations in this country. Wild Ops Presented by John Deere showcases veterinary medicine in the field with professionals capturing, studying, collaring and or relocating animals. Dr. Ole Alcumbrac is a Veterinarian of Conservation and Wildlife Medicine and the host of Wild Ops, and he’s stopping by The Revolution this week with a special look at this new show. Dr. Ole tells Jim and Trav that he wanted to educate viewers about the different facets of wildlife medicine and says that Wild Ops highlights the capture portion of several different species for various projects or research. He’ll discuss the capture of desert big horn sheep, mule deer, elk, endangered pronghorns and even a Mexican wolf reintroduction program that he was a part of. Tune in to find out more about this fascinating new show, as well as the role veterinarians, like Dr. Ole, play in our nation’s wildlife management model. Gordon Whittington is the Editor of North American Whitetail magazine and the co-host of North American Whitetail TV on Sportsman Channel. He joins The Revolution to talk about the 35th Anniversary Issue of North American Whitetail magazine. In this very special issue, you can look back at the history of the magazine starting in 1982 and the trends and events that have taken place in the years since that have brought whitetail hunting to the place it is today. Tune in as Gordon discusses America’s obsession with whitetail deer hunting, why average hunters who don’t travel or spend a lot of money still have a chance at record book bucks, and how modern technology like trail cameras and scent control have impacted deer hunting today. Check out the 35th Anniversary Issue of North American Whitetail magazine and listen to Gordon Whittington right here on The Revolution.